As a nutritionist, I have developed a dual passion for mothers and their infants, and the implementation of nutrition programs. When I started my PhD program at Cornell University, I joined a working group that was interested in exploring the determinants of the implementation of nutrition interventions at the household level, where mothers are often the primary providers of care for their infants and young children. In that role, they also act as intermediaries through which infants and young children ultimately receive many of the nutrition programs. For nutrition programs to achieve high effective coverage, it will be essential for them to address mothers’ role as caregivers, and their capabilities to implement (in other words, utilize) program interventions. Among several capabilities, described in this article, I found that the measurement of women’s workloads, time use and time stress was the least developed and remains a challenge among women in rural parts of Africa and Asia. So, the IMMANA Fellowship provided an opportunity to develop both a metric and a method (to allow for the contextualization of the metric), which I hope will allow researchers and practitioners to consider women’s time in the implementation of nutrition interventions. Previous estimates suggest that women in rural Africa average 18-hour work days, with very little rest or leisure time. It has also been recognized that their time is zero-sum in that any new activity is added at the expense of another, usually sleep or rest time. These constraints on women’s time could potentially have a negative effect on their capabilities to: (1) access agriculture and nutrition interventions; (2) choose to make use of these interventions; and (3) eventually implement the recommended practices in their homes. Therefore, the fact that measuring women’s time is a challenge means that many interventions are not considerate of these constraints that women face and, consequently, may not be adequately utilized. Direct observations, 24-hour recalls and diaries are methods that are commonly used to measure time use globally in developed and developing countries. However, each of these is not without limitations, particularly when working with women living in the rural parts of the developing world. • Direct observations are potentially the most reliable and accurate way of measuring women’s time. However, this is a resource- (financial, human and time) intense method that can only be used when working with a small number of women. • Because of the day-to-day and seasonal variations in the activities that women participate in, 24-hour recalls may not fully capture these variations and may in fact miss some of the most time intensive activities. • Time use diaries are highly dependent on the literacy of the population one is working with, and a large proportion of rural women in developing countries are illiterate. For example, 4 out of the 9 women who participated in the focus group discussion did not know how to write, and 2 struggled to initial their names. With these limitations, the need for a measure of women’s time use that can be administered rapidly and provide reliable data becomes apparent. Therefore, my overall goal for this fellowship is to articulate a standardized methodology for developing a culturally sensitive measure of time use among rural women in developing countries. I will also develop a stylized women’s time use survey whose items are emically derived from women in rural Zambia. In Zambia, I am working with CARE International’s Nutrition at the Centre team where they have programs running in the Eastern Province of the country, specifically in Lundazi and Chadiza Districts. The objective of Nutrition at the Centre is to develop, document and disseminate effective and efficient integrated approaches that will significantly improve nutritional outcomes for mothers and their infants in resource poor settings. Women’s empowerment is one of the cross-cutting components of their integrated approach, and women’s time burdens have been described by UN Women as an important issue for women’s empowerment. Therefore, CARE International are very keen on this collaboration, and are looking forward to learning from this work and eventually integrating it into their programs. Before starting fieldwork and data collection, we spent several months ensuring compliance with Zambia’s ethical-research rules. Learning about local Institutional Review Board (IRB) processes is an important part of any research project. As of this writing we have now completed the first round of focus group discussions with mothers and fathers of young children in Lundazi District. Though I am not conversant in Tumbuka, the local language in Lundazi, I was able to pick tidbits from the discussions and I eagerly await their transcription and translation and to start analyzing the data. 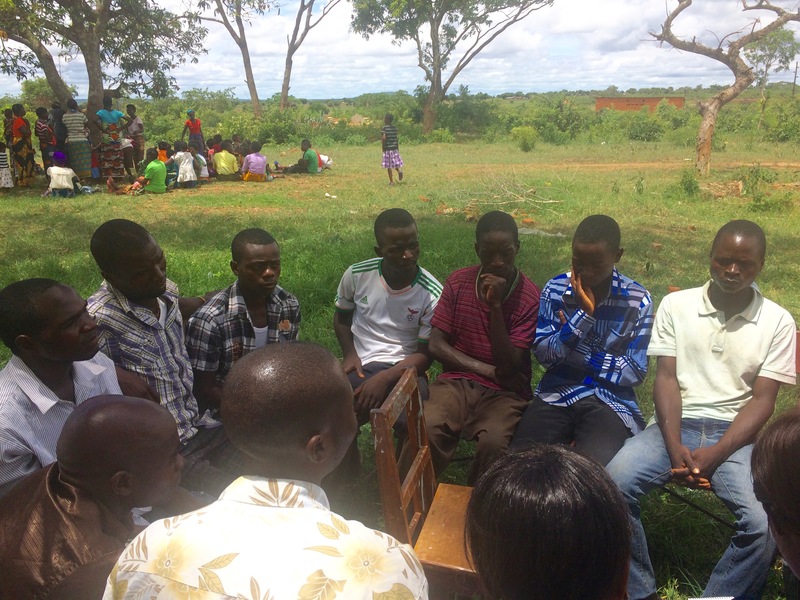 Next, we will be conducting similar focus group discussions with mothers and fathers of young children in Chadiza District. Using the data collected from these focus group discussions, I will develop a short survey to measure women’s time use and time stress. This survey will be pre-tested and refined through another round of focus group discussions and cognitive interviews with women. Finally, the survey instrument will be validated against direct observation of mothers with young children. By the end of the fellowship, I hope to have developed a valid measure of women’s time use and time stress and also to document the process leading to it, allowing others to develop similar measures in other countries. Eventually, CARE International will be able to use this instrument in the evaluation of their agriculture and nutrition programs in Zambia. By Dr. Cynthia R. Matare (PhD International Nutrition, Cornell University, 2015), IMMANA Fellow. Cynthia's project funded by IMMANA focuses on 'Women's time use, agriculture and nutrition in Zambia'.